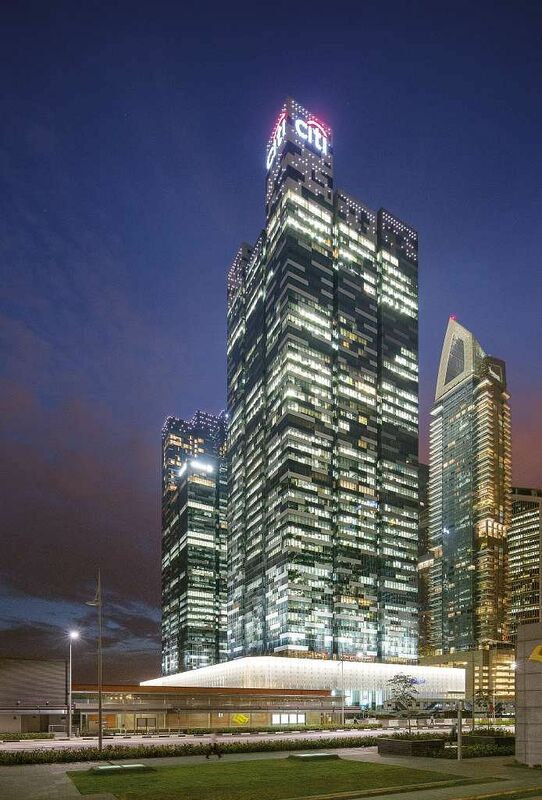 Singapore real estate giant CapitaLand says its negotiations to buy Asia Square Tower 1 are off. However, the seller, BlackRock, has said negotiations with other potential buyers are continuing - so a deal may still be struck for the sale of the Marina Bay landmark. Any such deal would be closely watched for a sign of where office capital values are. "Parties have for now ceased negotiations regarding the potential acquisition," CapitaLand said in a statement to the Singapore Exchange yesterday. A spokesman said it was unable to comment further on any reasons, adding: "We will continue to explore opportunities which fit in with the group's strategy, (with) terms which allow the group to generate the required returns." CapitaLand was part of a consortium - including Norway's sovereign wealth fund - in exclusive talks with BlackRock to buy the building, according to reports last month. The current plans of Norges Bank Investment Management, which manages the sovereign wealth fund, are uncertain. The firm did not respond to a request for comment yesterday. But the fund, one of the world's largest, was always intended to be the principal buyer if such an acquisition had proceeded, according to market rumours. Indeed, BlackRock was prompted to put the building on the market as Norges Bank Investment Management dedicated some money for investments here and in Tokyo about six months ago, it is believed. In this scenario, CapitaLand was meant to be more of a stakeholder in the holding company and to manage the property, as the fund was not keen to manage it. However, it is now more likely that talks have moved on to another party, ARA Asset Management, partly owned by Hong Kong tycoon Li Ka Shing, which reportedly also put in a final bid. If a deal takes place, it may be at a lower price than expected - of about $2,800 per sq ft (psf) of net lettable area or $3.5 billion, down from the $3,200 psf or $4 billion that BlackRock initially sought. The new price would be similar to values at nearby Marina Bay Financial Centre. The likely price cut comes as Central Business District offices face weakening demand from tenants and a large supply coming up next year. The vacancy rate at Asia Square Tower 1 was believed to be about 10 per cent as at the end of last month, while that at Tower 2 was about 20 per cent. BlackRock was said to be aiming for headline rents of about $15 psf per month. It has not lowered rents for the most part. But tenants are aware they have the upper hand in negotiations with landlords now, amid news of banks slashing headcounts and reports of an office market under pressure, a property consultant said. "Tenants are quite clear about where their businesses are heading... (Banks) have to reduce their real estate footprint as they cut staff, while a fall in commodity prices has been hurting related firms, and supporting industries like law firms are also suffering," he said. There has not been much demand from technology companies either, with Apple reportedly taking up space in Fusionopolis. But Mr John Saunders, head of Asia-Pacific for BlackRock Real Estate, said negotiations continue with potential buyers of Asia Square, a trophy grade-A office building and "often considered as one of Asia's best such developments". "While we are not in a position to comment on the details, we are pleased to have received significant global interest in this high-quality asset and are currently working to achieve the best outcome for our investors," he added.